We are in the heart of it all but away from the frenzy. 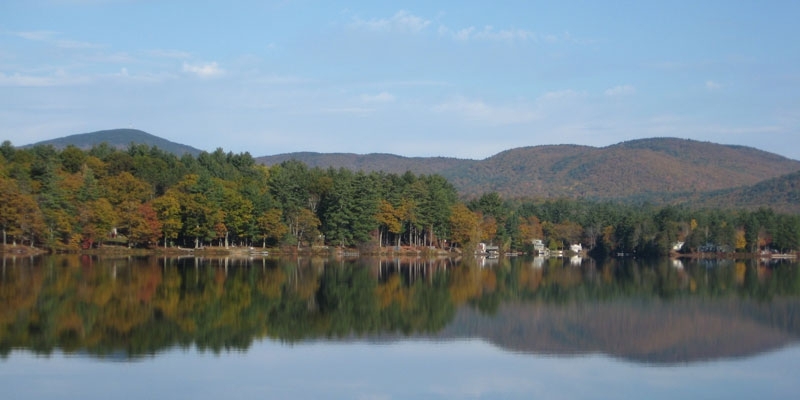 If you are looking for a crystal clear lake, quiet and private housekeeping cottages and a naturally sandy beach in the heart of the New Hampshire Lakes Region. Look no further… you have found Crystal Acres. Crystal Acres offers 200’ of beach with a gorgeous view of the Belknap Mountain range – it’s the best beach on the lake! There are lots of activities including great swimming from our three piers and swimming raft, fishing and boating. 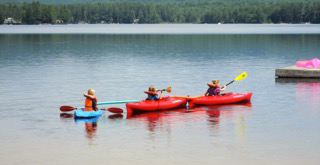 We have a paddleboat, rowboats, kayaks and canoes for your use and we even have a kayak for the kids! Crystal Acres provides easy access to everything you need. For Laconia Bike Week fans, we’re right between Weir’s Beach and the Loudon Speedway. For sightseers, all the attractions in the White Mountains are at your fingertips. Got kids and it’s raining? Try Funspot at Weir’s Beach. Shopaholic? Tanger Outlet is only 25 minutes down the road. But most of all, at Crystal Acres you can just stay put, swim, play and relax. My cousin Jan and I are 4th generation co-owners of this property our Grandparents purchased in 1898. My husband, Art and I live on the property and have been managing the cottages since the early 1970’s. Come visit and enjoy the lake, beach and all of our amenities. 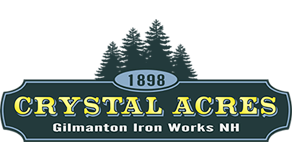 We are located on Crystal Lake in Gilmanton Iron Works, New Hampshire. About 1 hour from the Manchester NH airport. Full of useful information and tips to make your Lakes Region vacation a great one. A great free resource about the area. 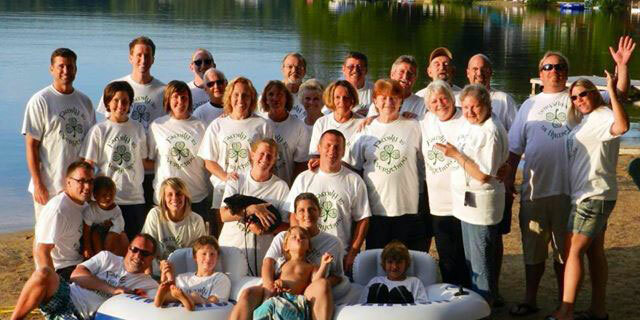 Crystal Acres is great for family reunions or group outings. Inquire about a reservation for your group. We have lots for you and your family to do. Swimming, boating, games and more. Learn more about what you can do at Crystal Acres. A relaxing getaway – yet close to attractions like Wolfboro, the White Mountains and the New Hampshire Motor Speedway. Copyright 2017 Crystal Acres LLC, All rights reserved.